This 360 piece explores the lives’ of filmmaker Amie Batalibasi’s home village in the Solomon Islands and how the sea is not only the sole source of cultural and economic livelihoods but the very thing that will shift their way of life due to the effects of rising seas and climate change. Viewers will stand in the village, become a passenger in a canoe and dive down to a reef under the water in this 360 VR work that invites audiences to learn about a people, and through this interactive medium, experience the stories being told. DOCKED is an indie short film about a young aspiring South Sudanese actress who works late nights at a bar and meets an older guy who is at a crisis point in his life. They spend the night walking around the city together in this story about two people from different worlds who find an unlikely connection, one night in Melbourne. Set in pre-colonial Aotearoa New Zealand this short film is the story of a young mother from a devastated tribe who travels into enemy territory to make a proposition that could end the suffering of both. LIT is a 15 minute video work that evolved out of a need to address the lack of representation of women of colour in Australian mainstream media, film and TV through a collaboration between Australian Solomon Islander filmmaker Amie Batalibasi and South Sudanese actress Nyawuda Chuol. BLACKBIRD is a short narrative drama following the story of Solomon Islander siblings, Rosa & Kiko, who were kidnapped from their island home to work on a sugar cane plantation in Queensland, Australia in the late 1800s. As Kiko journeys into manhood amidst oppression and severe loss of culture and identity, he must find his will to survive. Filmmaker Amie Batalibasi went back to visit family in the seaside village of Lilisiana, Solomon Islands, at a time when the village was affected by the extreme high tides due to climate change. TIDE OF CHANGE documents the stories of the people, interwoven with the events surrounding the loss of a loved one, as the sea rises around a community on the brink of inevitable change. This film reveals but a few of the forgotten faces behind a Made in Australia fashion label. It explores the stories of five extraordinary Vietnamese women as they uncover the harsh realities of their working lives. They demonstrate that sweatshops exist not only abroad but right here in our own backyard – in particular, the suburbs of Melbourne. Day after day, game after game is played, battles are fought, won and lost – but one thing remains – to these men Chinese Chess is much more than just a game. ASSI STORIES is a multimedia storytelling project for Australian South Sea Islanders to explore heritage, identity and story. 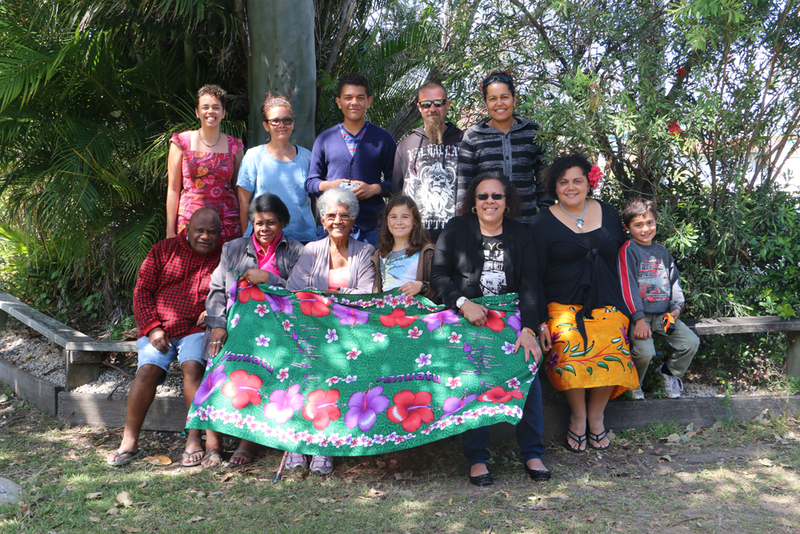 WANTOK STORI is a collaboration and exchange project between Victoria and the Solomon Islands. It aims to explore and celebrate the diversity of Pacific culture and support emerging artists and young people. Pacific Stories – Harmony on the Murray was a community film project that expanded on the Pacific Stories concept – to work with a group of young people from Indigenous and Pacific Islander backgrounds in Robinvale Victoria to produce two short films. The Young Media Makers Project (YMMP) was a community project set up in 2011 for diverse young people to be seen and heard through filmmaking. PACIFIC STORIES 2011 consisted of a series of discussions, storytelling and filmmaking workshop for participants of Pacific islander heritage to develop and produce a short film exploring identity and culture. The Short Film Project was a community film project in 2010 at the Yarraville Community Centre where Amie Batalibasi worked with a group of adult ESL students to assist them to develop, write, direct and edit their own short films exploring their own personal stories. Melbourne filmmaker Amie Batalibasi engaged in an Artists in Schools residency at The Grange P-12 College in Hoppers Crossing, Melbourne working with a group of twelve year 5/6 students.